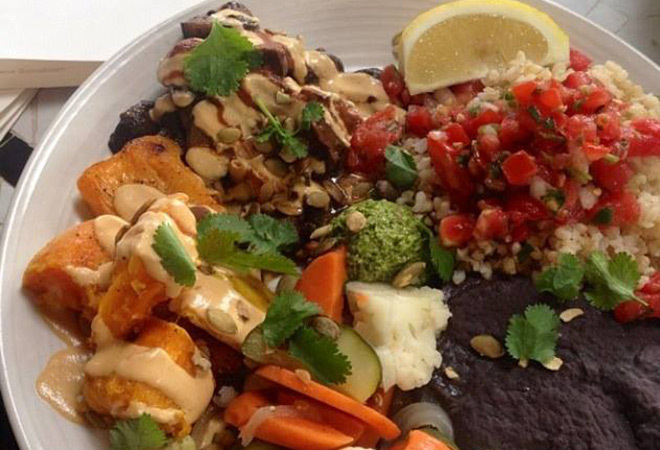 Young celebrities are fond of this San Francisco import, a vegan cantina that offers sweet potato flautas and mushroom mole enchiladas. A sister establishment of Café Gratitude, Gracias Madre forgoes the New Age pretense in favor of soulful, if slightly drab, meatless Mexican cuisine. Thick gorditas made from griddled potatoes and organic masa were brightened with salsa verde. As interesting as we found the gooey nacho cheese (made from cashew cream) coating the fried cauliflower florets, we were more impressed by the horchata cocktail, which balanced smoky mescal with house-made rice milk. » 8905 Melrose Ave., 323-978-2170.